More than eight in 10 millennials think that owning a home is part of the American Dream. Sixty-eight percent of younger Americans would be willing to purchase a home that needs substantial work, more than any other generation. Millennials are much more concerned with buying a home in a safe neighborhood and with access to highly ranked schools than they are with walkability. A new report again highlights millennials’ desire to become homeowners, and they are not afraid to pick a property that needs work to make that dream a reality. That’s according to a poll conducted by online real estate company Clever, which found that 84 percent of millennials — defined as those between the ages of 18 and 34 — believe that purchasing a home is key to realizing the American Dream. That lines up with recent research from the National Association of Realtors, in which 91 percent of homeowners of all ages said that buying real estate is a crucial part of the American Dream. It’s also consistent with results from a poll conducted by Bank of America last fall, which found that millennials place more importance on homeownership than they do on getting married or having children. Similar to other reports, Clever says that amassing a down payment is the biggest hurdle to millennial homeownership, cited by about 39 percent of respondents, more than Gen Xers or baby boomers. About 20 percent of millennials point to a lack of affordable homes on the market, reflected in the fact that 58 percent of them want to purchase properties priced between $100,000 and $299,000. Besides affordable homes, younger buyers are most interested in a home in a safe neighborhood (37 percent) and access to good schools (33.5 percent), which are also the top two concerns voiced by Gen Xers. Somewhat curiously, only 11 percent of millennials desire a home in a walkable location, more than Gen Xers but less than baby boomers. To find a home that’s affordable while also meeting other major criteria, 68 percent of millennials said that they would purchase a home described as a fixer-upper, more than any other generation. Still, as Clever points out, this strategy does not come without its potential pitfalls, as emptying the savings account for a down payment or being saddled with debt can leave many new young homeowners strapped to find the money to pay for immediately needed repairs. 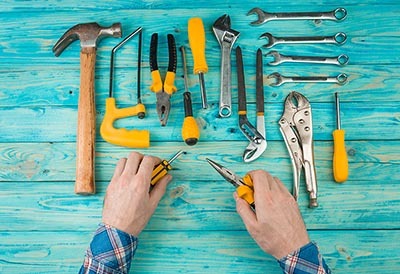 And while taking a DIY approach to home improvements can save owners a substantial amount of money, it can also backfire, with almost two-thirds of homeowners recently polled by ImproveNet admitting that they regretted doing at least one job themselves. Finally, the report highlights the importance of both technology and humans when millennials go home shopping. Nearly 90 percent of younger homebuyers use the Internet when searching for a home, with smart phones the most popular device, favored by 63 percent of millennials. Still, 82 percent of homebuyers under the age of 35 see the value in working with a real estate professional, with trustworthiness by far the most valued quality.